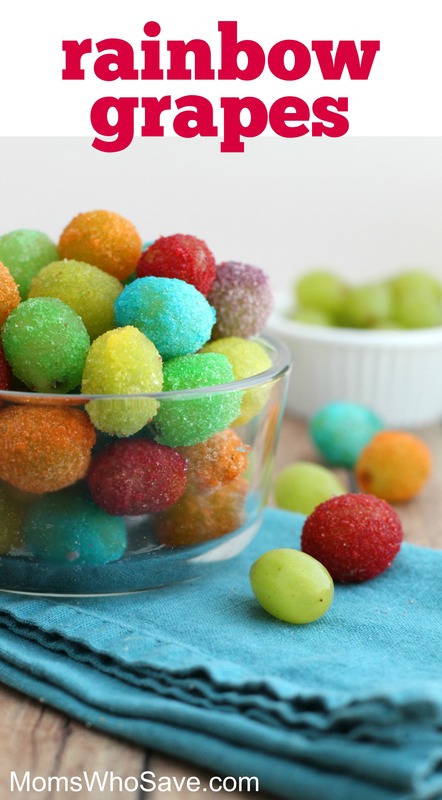 I love these colorful rainbow grapes, and I know you will too. 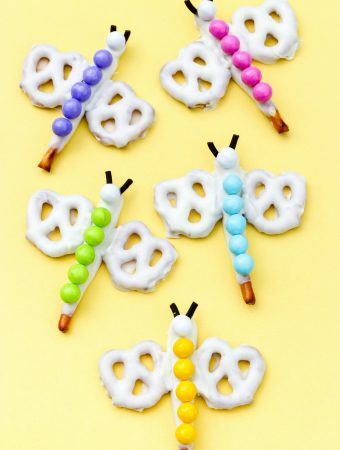 They’re such a fun and tasty treat, especially as the weather gets warmer. You can serve them chilled or frozen. 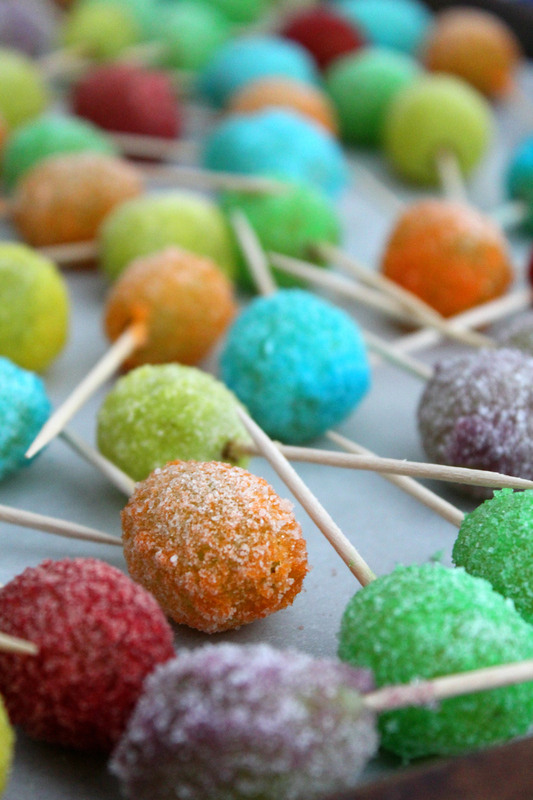 I like to make these candied grapes in every color of the rainbow! They’d be fun to serve for a unicorn-themed party or any birthday party. 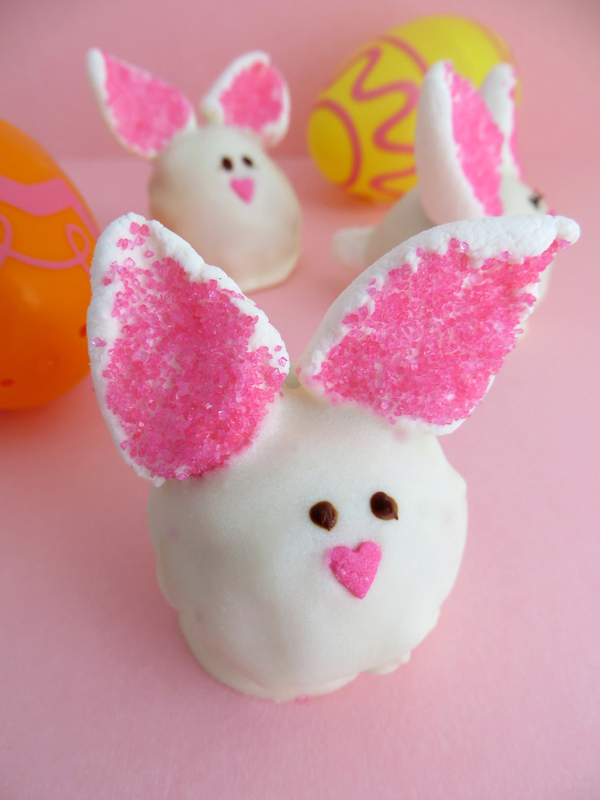 You can also make them for your favorite holiday–think red and/or pink for Valentine’s Day or red and green for Christmas, for example. Use your imagination! 1. Line a baking sheet with parchment paper, and set aside. 2. Place freshly washed grapes (removed from the vine) in a large bowl of water. Make sure they are completely soaked and covered by the water. 3. 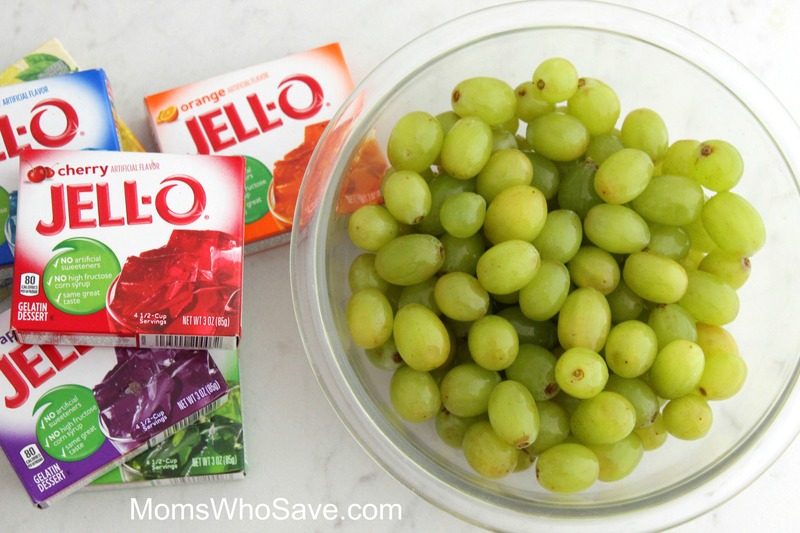 Pour the contents of each JELLO gelatin pack into separate bowls for each flavor. 4. Remove one grape from the water bowl at a time using a toothpick. 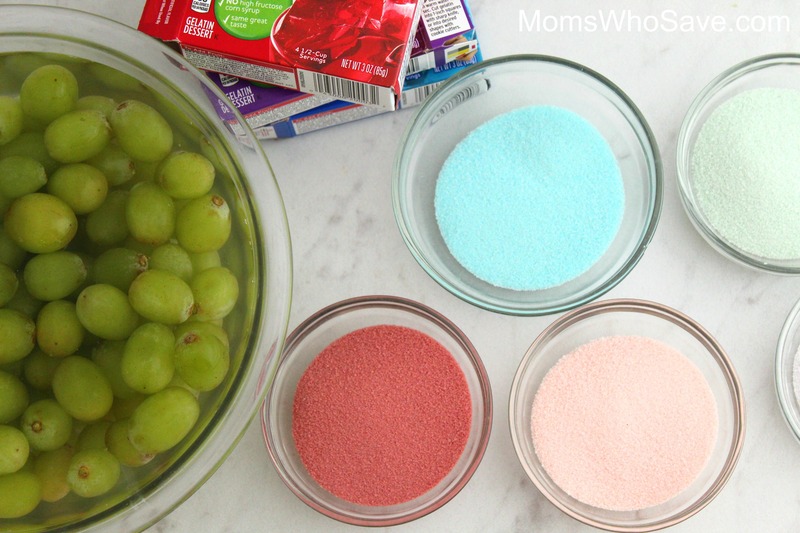 Immediately roll the grape in the gelatin mixture of your choosing – making sure to completely cover all surface area. 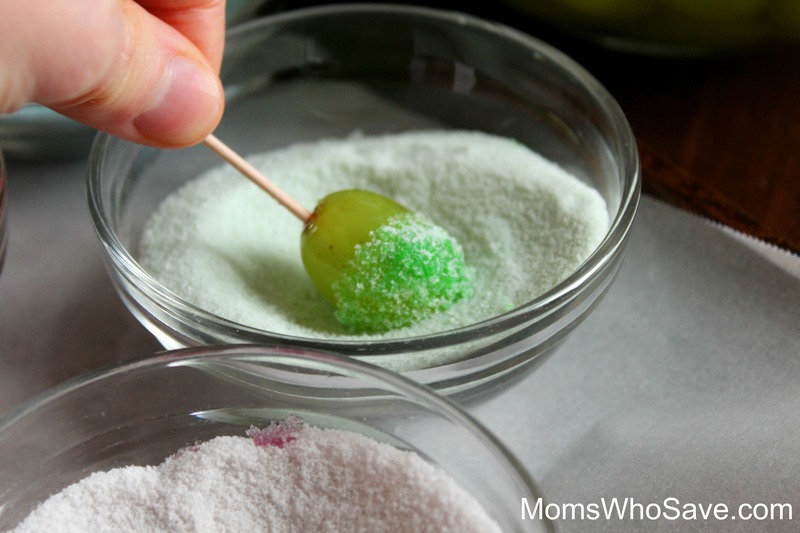 If any grape is showing through, simply dab that area into the water and place it back in the gelatin mixture to ensure it is completely coated. 5. Lay the coated grapes on the parchment paper-lined baking sheet. After all grapes have been coated and placed on the baking sheet, move it to the refrigerator for up to an hour. 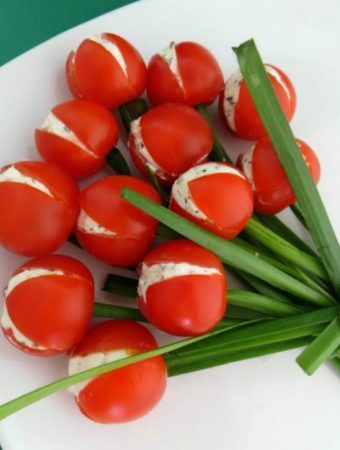 Remove the toothpicks and place in a serving bowl or serving tray. 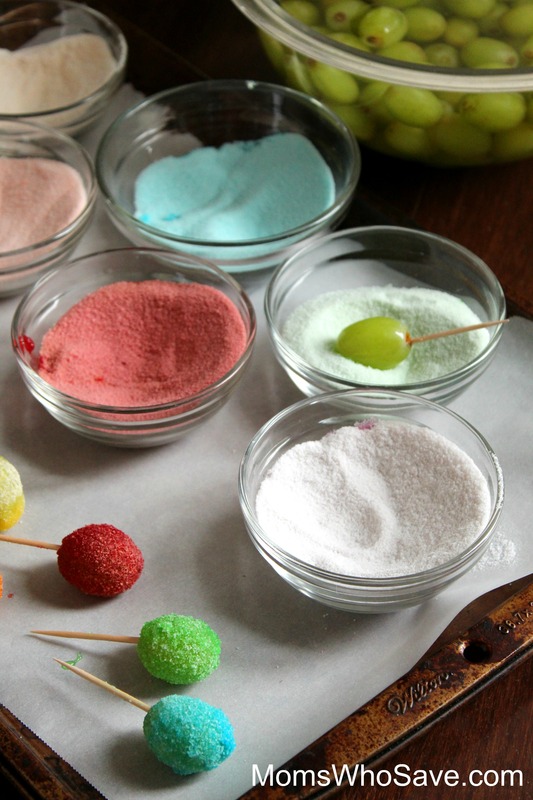 • Once grapes are chilled, the coating hardens and becomes a candy shell. • Make sure to allow grapes to completely chill before transferring them to a serving container where they’ll be touching; otherwise, the color will rub off and blend with the other grapes. • A little of the mixture goes a long way. I would recommend a thin layer of the coating as the flavor is quite concentrated.